No-Bake Vanilla Cake Pops are a perfect last minute dessert for Valentine’s Day or any special occasion. Store bought pound cake, frosting and white chocolate chips combine to make delicious sweet cake pops that you decorate for a delicious impressive dessert. 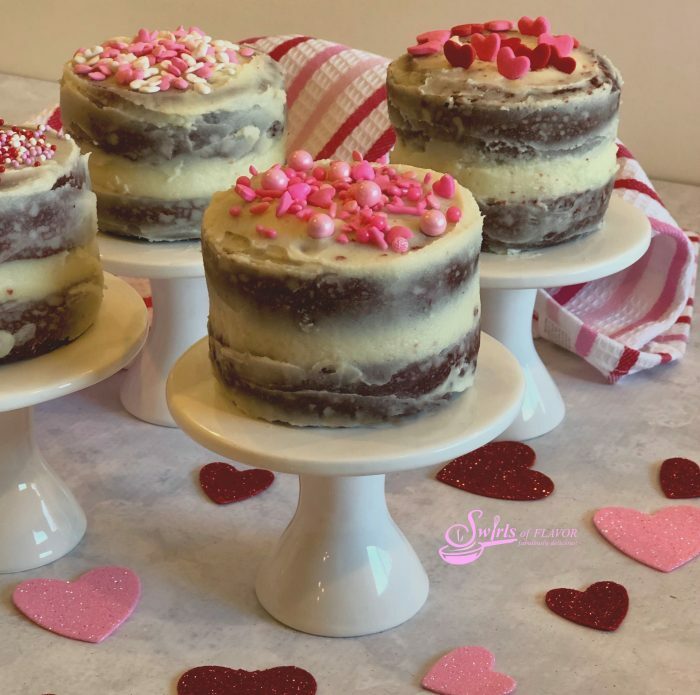 Perfect for a Valentine’s Day get together or sweet dessert for the family, No-Bake Vanilla Cake Pops will definitely satisfy your sweet tooth on this day of love. And you don’t even have to bake the cake! 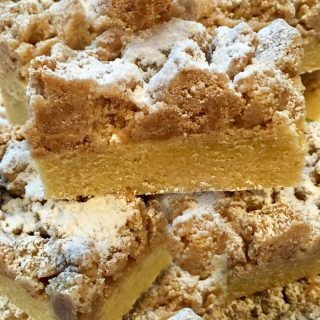 Just purchase store bought pound cake, canned frosting and white chocolate chips! Combine the pound cake and frosting and freeze until firm, about 30 minutes. 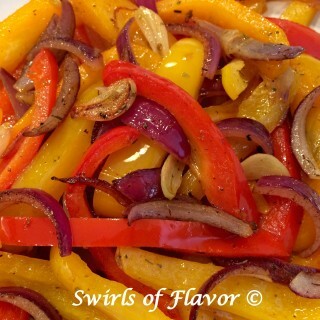 Then dip in melted chips and decorate. 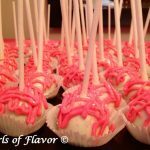 Pink candy color and white cake sparkles , lollipop sticks and mini liners are the perfect finishing touch on these No-Bake Vanilla Cake Pops! 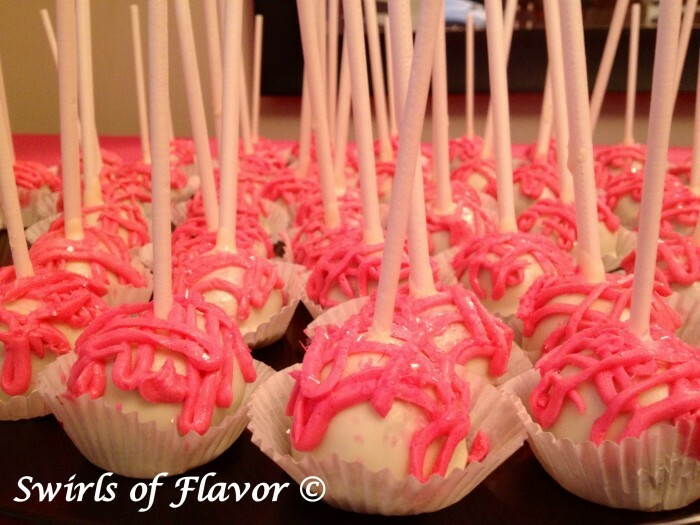 A great way to make a last minute sweet treat, cake pops will be the hit of your celebration! Happy Valentine’s Day to you and your loved ones! 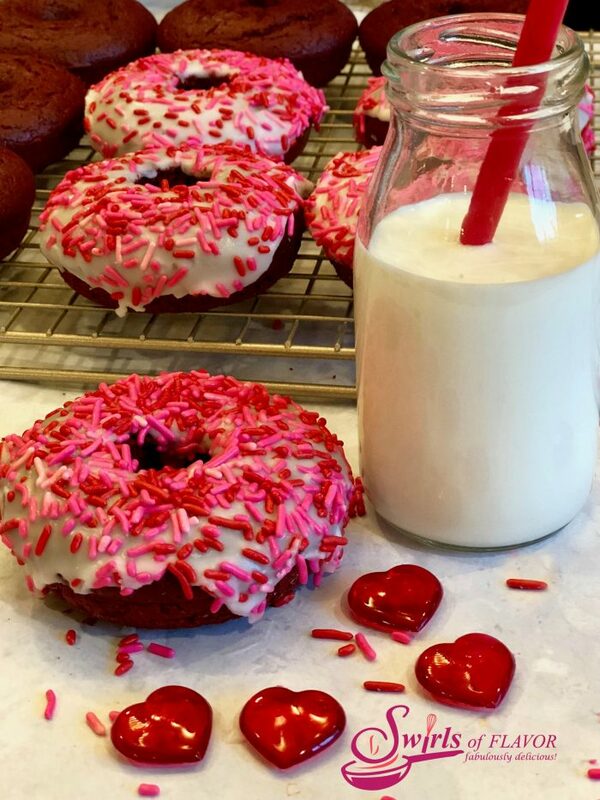 When you have some time to bake, you’ll definitely want to try one, or all, of these Valentine desserts recipes. 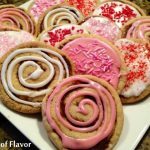 Bake up some love! 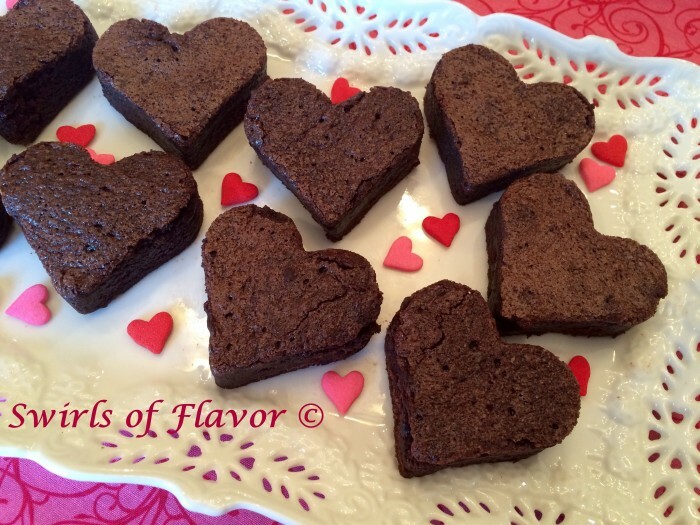 Espresso Brownies with Kahlua Ganache is a homemade brownie recipe made with chopped chocolate and flavored with espresso powder giving these brownies a deep rich chocolate flavor. 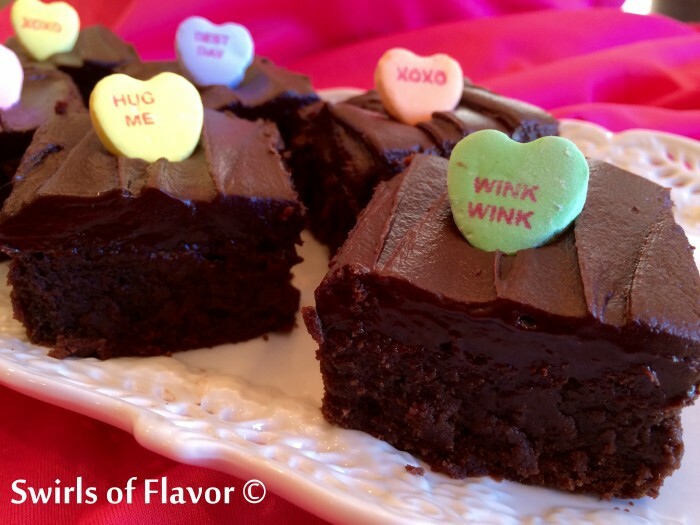 A silky, creamy ganache flavored with Kahlua, a coffee flavored liqueur, tops our homemade brownies along with conversation hearts for a perfect Valentine’s Day dessert! 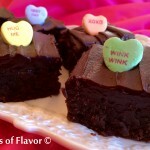 And you can bake cupcakes or just buy them to make our Personalized Conversation Heart Cupcakes. 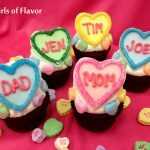 Show someone how much you love them on Valentine’s Day with Personalized Conversation Heart Cupcakes. 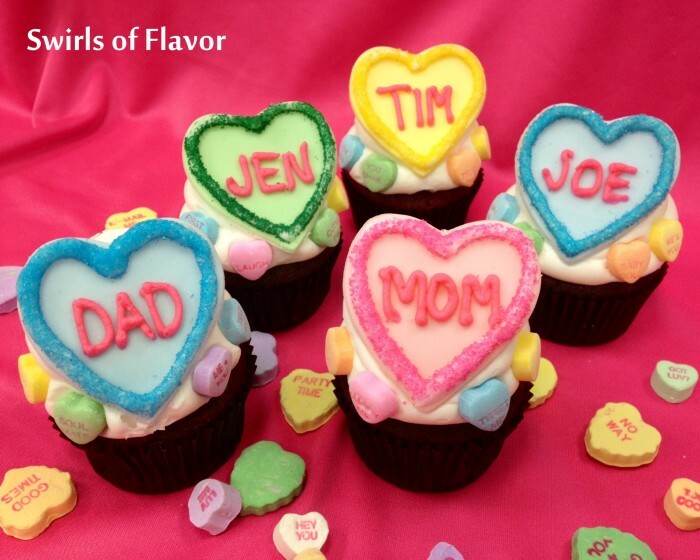 Fondant hearts, decorated with colorful sugars and personalized with names on top of cupcakes will make everyone feel special. 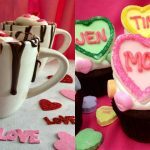 Easy to make as an edible craft project both kids and adults will have fun making Valentine cupcakes! With mixer on medium-low speed combine pound cake and frosting until blended. Shape mixture into 32 balls, each about 1 Tablespoonful. Arrange on prepared baking sheet and insert lollipop sticks. 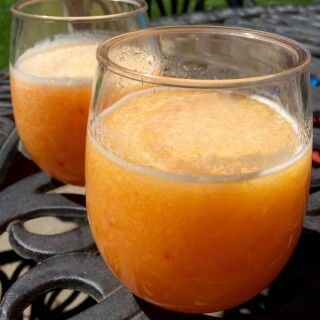 Freeze until chilled and firm, about 30 minutes. 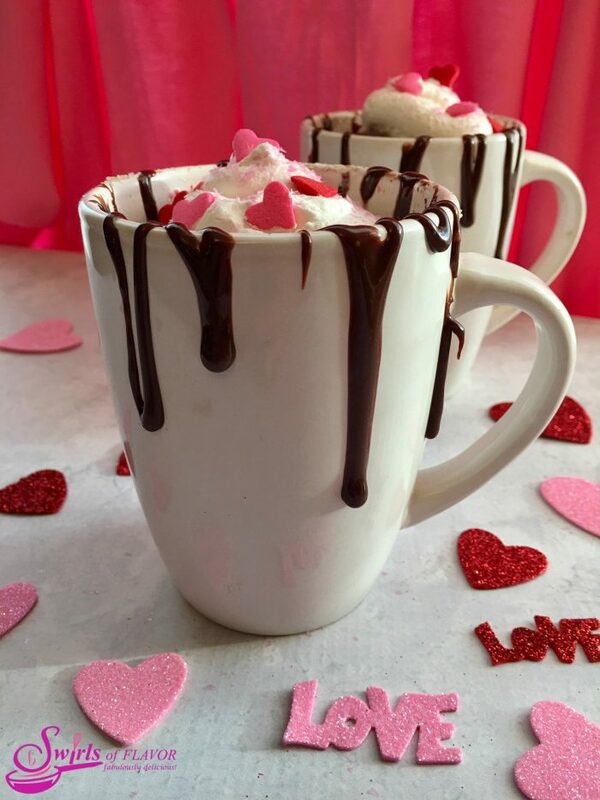 In microwave-safe dish microwave white chocolate chips in 30 second intervals until melted and smooth, stirring after each interval. 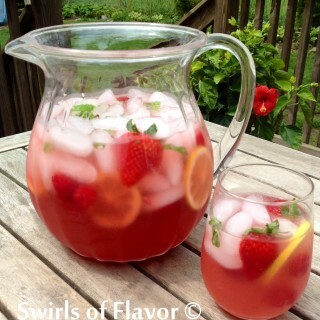 Transfer 1/4 cup melted mixture to a small bowl and tint with pink candy color; reserve. Dip cake pops into remaining melted chips* to coat, shaking off any excess. Return cake pops to prepared baking sheet. Drizzle with reserved pink mixture and sprinkle with cake sparkles. 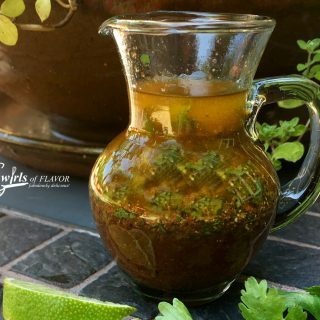 * You may need to return melted mixture to microwave occasionally during the dipping process if it begins to thicken up. 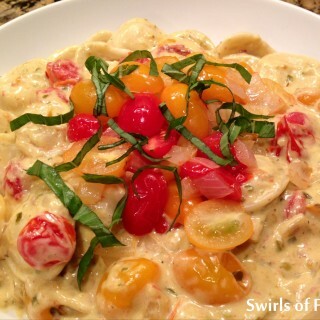 Just microwave at additional 30 second intervals.